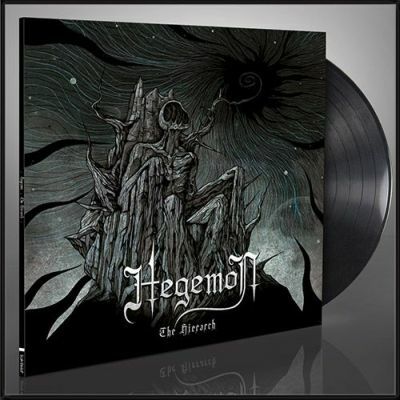 HEGEMON - THE HIERARCH VINYL (LP BLACK) | Online Shop | Wizard LTD. Album: "THE HIERARCH VINYL (LP BLACK)"
Symphonic, classic, elegant and yet fierce, harsh and imbued with cold darkness: seven years after &apos;Contemptus Mundi&apos; heaped scorn upon the world, HEGEMON finally strike again with &apos;The Hierarch&apos;. The roots are showing. There are traces of EMPEROR&apos;s complex and epic arrangements as well as a hint of the orchestral might championed by DIMMU BORGIR to be found in the compositions of this enigmatic French quintet. With an added dose of early ENSLAVED and BORKNAGAR the Norwegian inspiration becomes all transparent and still the French manage to infuse their own musical shape and will into their sinister compositions. The country’s touch is undeniably present.